If you are looking for Professional Passport & Visa Services in Port Blair, then ANDAMAN BLUE SEA TRAVELS is the name to lead with. 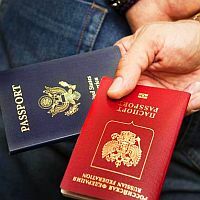 The bouquet of our Passport & Visa Services includes assistance for Medical Passport & Visa, Education Passport & Visa, Business Passport & Visa, Travel Passport & Visa, Job Passport & Visa, to mention a few. At ANDAMAN BLUE SEA TRAVELS, we ensure that you are also given online assistance as per your requirements and need of the time.